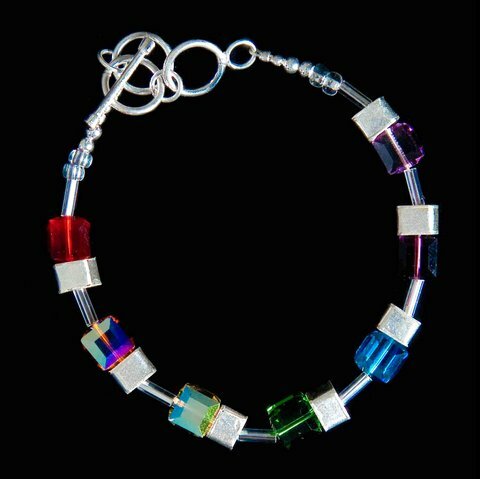 Swarovski crystal 8 MM cube Chakra bracelet with adjustable crystal toggle Swarovksi crystal 8 MM cube Chakra Pendant. Also available in 4 MM and 6 MM cubes. 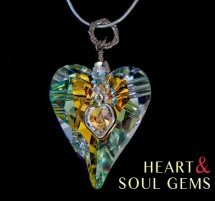 Swarovski Crystal 37 MM Wild Heart Pendant. 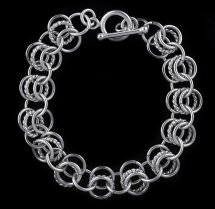 Sterling Silver Chain Maille bracelet. 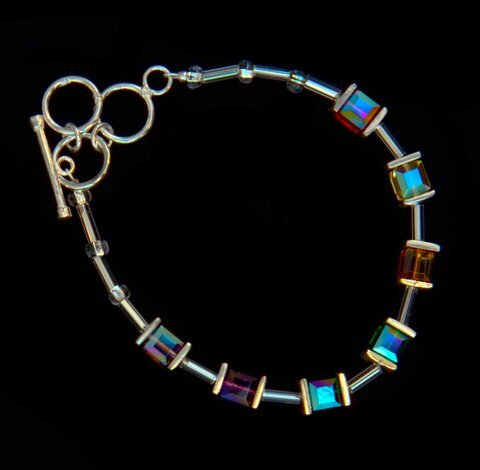 Swarovski A/B and Aqua Butterfly links connected with three ring crystal toggle. 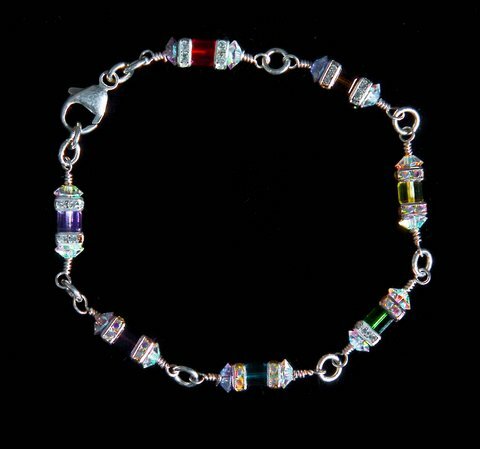 Swarovski amethyst crystal charms and links on Sterling Silver and bicone earwires. 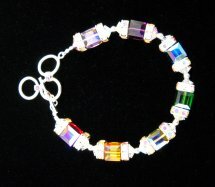 Swarovski amethyst crystal charms on Sterling Silver and bicone earwires. 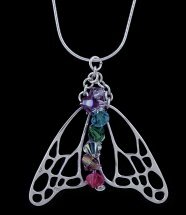 Sterling Silver Butterfly wings with Swarovski Chakra bicone crystals in a pendant. 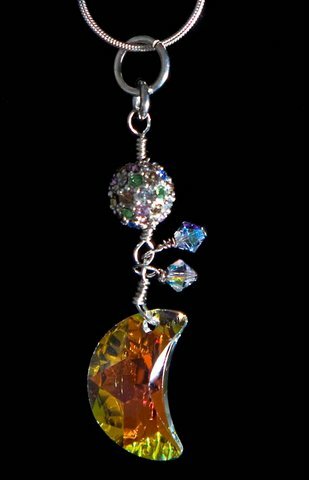 Swarovski A/B crystal butterfly beads and charms earrings on sterling silver ear wires.